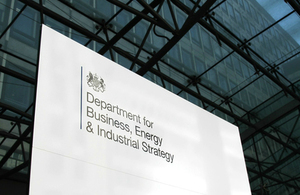 Business and Energy Secretary Greg Clark has appointed Kirstin Baker as a non-executive director and panel member, and Robin Cohen as a panel member, to the Competition and Markets Authority (CMA). Kirstin Baker began her role on 1 September and Robin Cohen will begin on 3 October. Kirstin Baker was most recently HM Treasury’s Finance and Commercial Director. Earlier in her career Kirstin was part of the senior team leading the Treasury’s response to the banking crisis and was awarded a CBE for this work. Robin Cohen is an economist with over 30 years of experience in economic consulting, providing advice to governments, regulators and businesses across multiple sectors. Board members play a key role in providing leadership and direction to the organisation, working with the chair and chief executive. Panel members take part in merger and market inquiries and make decisions on regulatory appeals. The CMA, a non-ministerial department, is the UK’s primary competition and consumer authority. It has responsibility for carrying out investigations into mergers, markets and the regulated industries and enforcing competition and consumer law. Robin is an economist with over 30 years of experience in economic consulting, providing advice to governments, regulators and corporates across multiple sectors including energy, water and financial services. In June 2018 he retired as a Vice President of Charles River Associates. Robin was previously a Partner at Deloitte from 2002 to 2013, where he led the Economic Consulting practice. He was also a Partner at Arthur Andersen (Business Consulting, Strategy Finance and Economics) from 1999 to 2002. Kirstin had a long career in the civil service and was most recently HM Treasury’s Finance and Commercial Director. Earlier in her career Kirstin was part of the senior team leading the Treasury’s response to the banking crisis and was awarded a CBE for this work. Kirstin has also worked as a competition official in the European Commission, as an EU policy adviser in the Cabinet Office and as a senior civil servant in the Scottish Government, leading work on infrastructure investment banks.
. Appointments to the Competition and Markets Authority (CMA) Board and Panel. 2018-09-03.